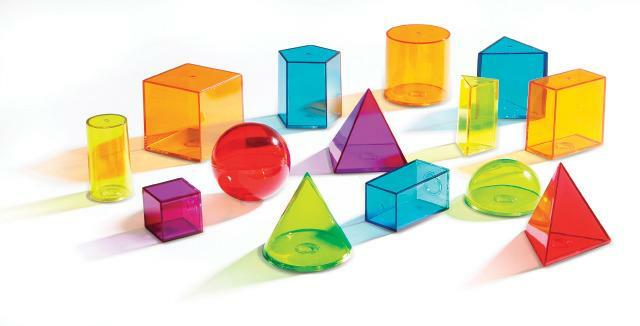 These transparent, 3–D plastic shapes offer a concrete way to explore geometry, volume and other measurement concepts. Fill with liquid or dry fill for studies of volume. Cleans easily. Great to use with Light Panels.